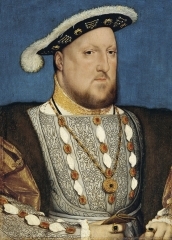 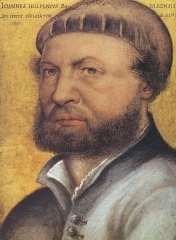 Hans Holbein the Younger (German: Hans Holbein der Jüngere) (c. 1497 - between 7 October and 29 November 1543) was a German and Swiss artist and printmaker who worked in a Northern Renaissance style. 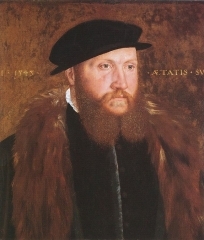 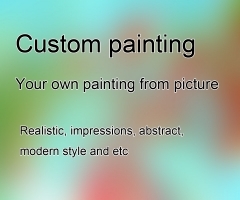 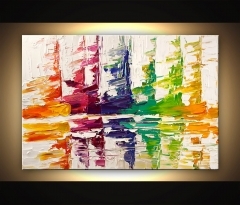 He is best known as one of the greatest portraitists of the 16th century. 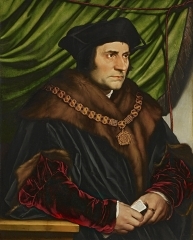 He also produced religious art, satire and Reformation propaganda, and made a significant contribution to the history of book design. 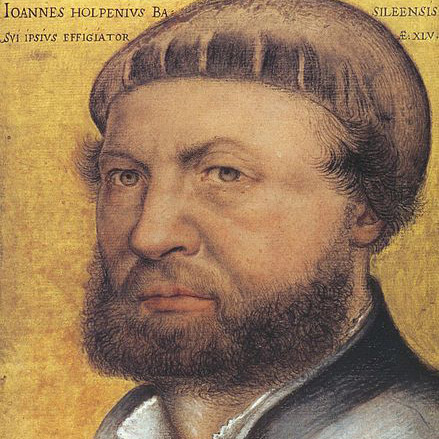 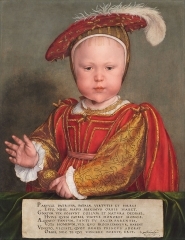 He is called "the Younger" to distinguish him from his father, Hans Holbein the Elder, an accomplished painter of the Late Gothic school. 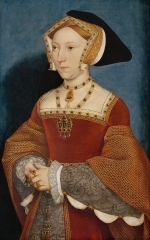 Portrait of Jane Seymour, c. 1537. 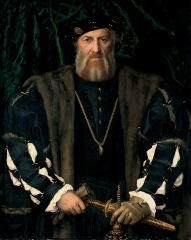 Portrait of Christina of Denmark, c. 1538. 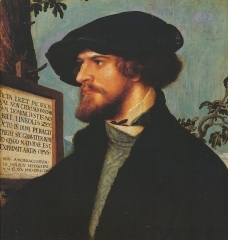 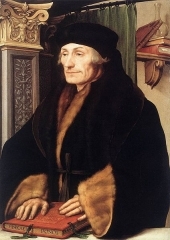 Portrait of Bonifacius Amerbach, 1519. 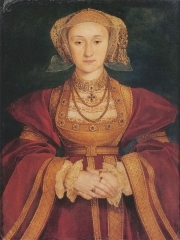 Portrait of Anne of Cleves, c. 1539. 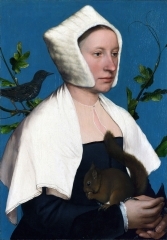 Portrait of a Lady with a Squirrel and a Starling, c. 1527–28. 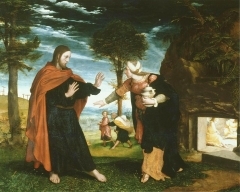 Noli me tangere, possibly 1524–26. 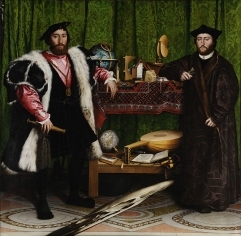 Double Portrait of Jean de Dinteville and Georges de Selve (The Ambassadors), 1533.